I had high expectations for this movie. The trailers looked great. It was disappointing. The music was loud, constant, and overbearing to the point you couldn’t hear the noises of the actual weapons. It was emotionally unengaging. There were some big set pieces but they seemed “staged” and the personal stories seemed disjointed and out of sync with the bigger story. Except for a few words at the beginning of the movie, there was almost no context for what was happening. It seemed as though the director was trying really hard to make this a blockbuster with heart but it didn’t work. 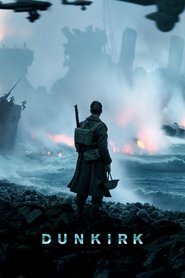 Compared to movies like Hacksaw Ridge or Saving Private Ryan, Dunkirk left me mostly bored. The best thread in the story was the fighter pilots and there were some good performances and a few moments of awe — none of which compensated for a noisy, disjointed, mildly entertaining screenplay. I guess you can tell I didn’t like it.